Mister Rogers arrives with some straw, twigs, and bricks -- all props from the current marionette production at Brown's Marionette Theatre. After describing the story of The Three Little Pigs, he explains that the story is not real -- no one can blow a house down and real pigs don't build houses. Suggesting that what happens to people make good stories, Mister Rogers sings Everybody Has a History. At the Brown's theatre, Mister Rogers sees the marionette puppets used in the performance and a demonstration of how the houses on the set are "blown down" by the wolf. Returning to his house, Mister Rogers stops for a moment to talk with Audrey Roth who is on her way to supervise a job for Audrey Cleans Everything. He show her a stick "marionette" from the Browns'. In the Neighborhood of Make-Believe, Miss Paulificate is teaching Purple Panda to fetch a stick. King Friday XIII asks for Miss Paulificate's assistance in contacting an airplane company so he can purchase his own plane. Back at the house, Mister Rogers uses a stick and paper to make a pretend airplane and blocks to build a hangar. He concludes by singing Pretending and watching an animation that features himself in an airplane. 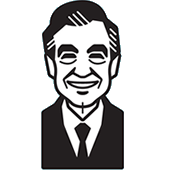 Mister Rogers continues singing Everybody Has a History as he walks to the Brown's theatre. Miss Paulificate address Purple Panda as "Pan." The animation is also seen in Episode 1222.